EcoLens™ was also the subject of our presentations in the drupa innovation park. EcoLens™ will be peoposed in 75LPI – 406µ and 100LPI – 355µ. We could show to the visitor’s the unique Lenstar™ product range we are proposing: 75 LPI, 62 LPI, 60 LPI, 3D-100 LPI, 50 LPI-M, 40 LPI and 3D-50LPI Lenstar lenticular sheets and 100 LPI and 150 LPI Lenstar™ lenticular sheets and rolls. These are all products extruded by Pacur in WI-USA. It was very difficult to miss our NEW 3D 20 LPI UV-LF specially created for 3D large format images. 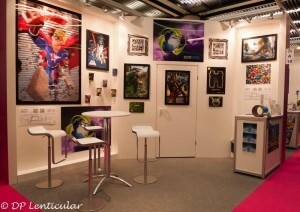 The large format images on our booth were printed on the 3D 20 LPI UV-LF. 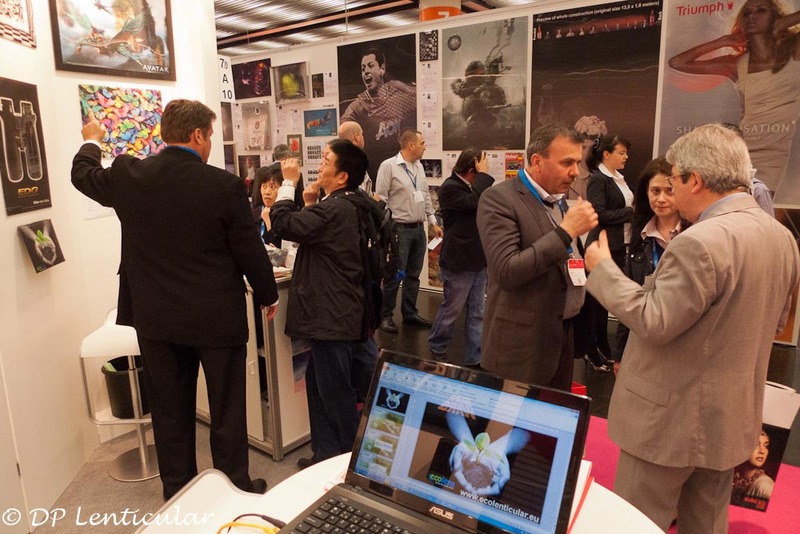 The drupa innovation park also hosted the second edition of the “Lenstar Lenticular Print Award supported by drupa 2012“. The Awards Ceremony of the Lenstar Lenticular Print Award supported by drupa 2012 (LLPA) took place today at 17H in the drupa innovation park. The winners for each of the six categories received an LLPA Trophy created by Dublin Crystal. The drupa song is still online ! See you in Düsseldorf for the next edition from May 31 to June 11 2016.